I cannot take any credit whatsoever for today's tip- that goes to my cooperating teacher during my student teaching. 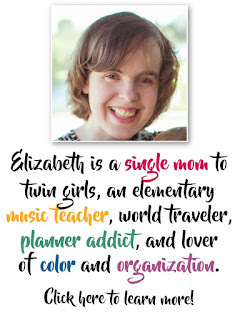 This is totally and completely stolen from her, and I have continued to use it in every single class, every single day of my teaching career. 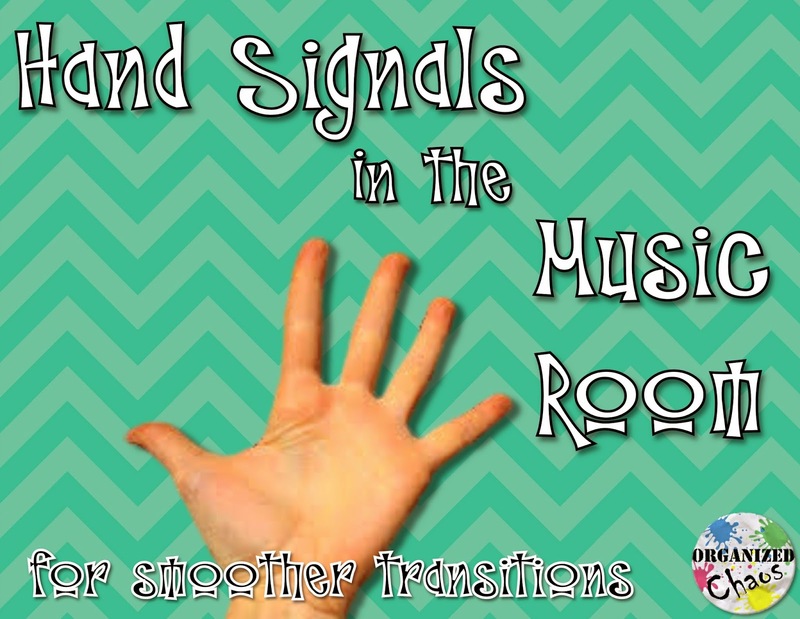 Transitions between activities, especially when the students need to move, can be one of the most difficult things to manage in the classroom. 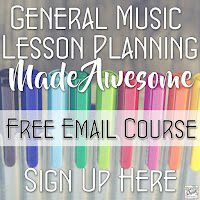 And in elementary general music, we tend to have a lot of those. Although this only covers one aspect of those transitions, it certainly does make things a lot faster and smoother. I hold up 1 finger as a cue for them to stand, 2 fingers for sitting up/forward in their chairs, and 3 for sitting back. The great thing about having a hand signal for these actions is that I can get them ready for an activity while explaining the directions at the same time. These are also perfect to use in concerts, because the audience can't see me holding up one hand. 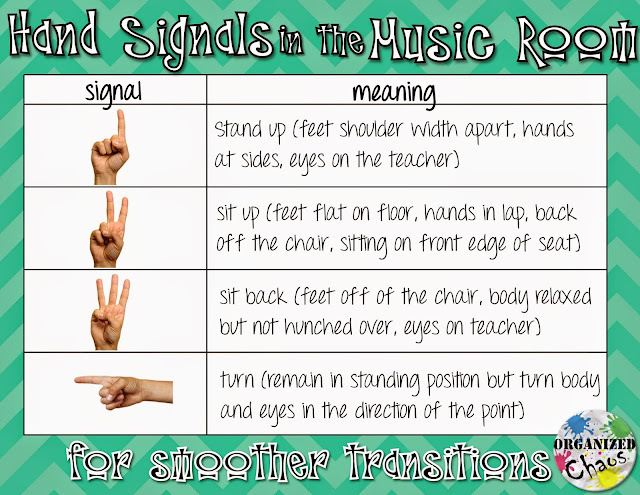 I use this for everyone 1st grade and older, and they get very good at moving quickly and quietly. At the beginning of the school year we practice and I tell them they have to be fast, but if they make sound it doesn't count. Not only is it great to have a signal for standing, sitting up, and sitting, but I have found that these specific signals are intuitive. When I hold up 1 finger, it is like I am motioning up, so it is easy for students to remember. When I use 2 fingers to have students sit up, I often find myself turning my hand upside down and motioning to a student's feet to remind them to put their 2 feet flat on the floor. Besides all of the up and down we do for singing, playing recorders etc, the hand signals are very handy when we need to move to another part of the room. I use 1 finger to tell them to stand, then I turn that finger in the direction that I want them to turn, and they all turn at the same time. This is also excellent preparation for concerts, especially when students are on risers. Usually I have them then start with the first row to walk to the new spot and the next rows follow, or sometimes I will tell them to start at the back row. Having them all turn together makes it much easier for students to smoothly follow the line and know exactly where to go. Plus it looks very impressive to classroom visitors and concert audiences! 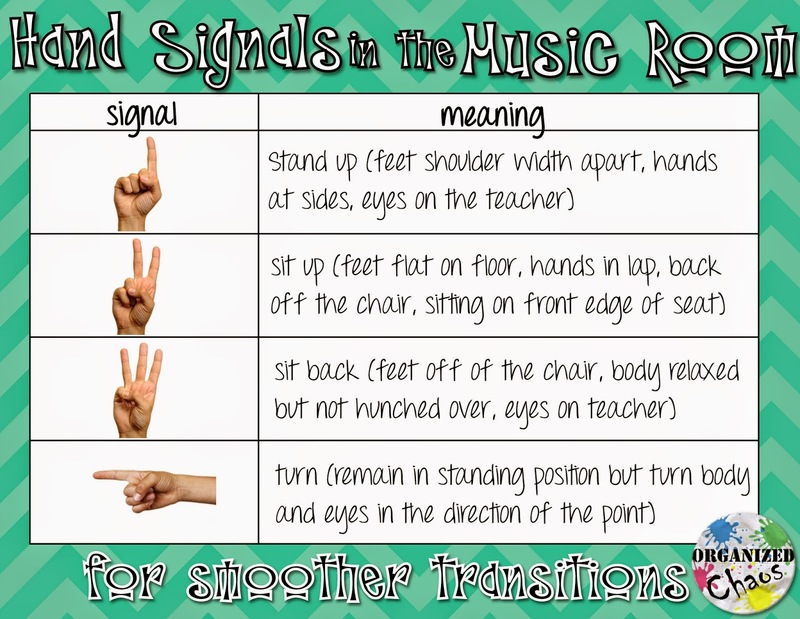 Do you use any hand signals in the classroom? What routines do you have in place to make transitions go more smoothly? I love the hand signals--any chance of getting a print of the above chart? You can certainly print out the picture above, but if you want to make a bigger print just send me an email at caldwell.organized.chaos@gmail.com and I'll be happy to send you a larger file! Is it possible to get a copy of this chart? I would love to post it! Will those signals work with Prek and Kindergarten Classes? The hand signals themselves will definitely work, but I usually wait until they're older to teach how to sit up in chairs because there are so few chairs in which younger (smaller) students can actually do so correctly. Aside from that one, though, the others work very well and I have used them with PK and K! I love your blog and I follow you.In my case I do not have chair, any recomandation? Thanks so much for your kind comment! Without chairs, I would still use the same hand signals but teach them a specific way to sit up straight for singing posture when they're sitting on the floor, and make #3 a signal that they can sit in a more relaxed posture. I hope this helps!